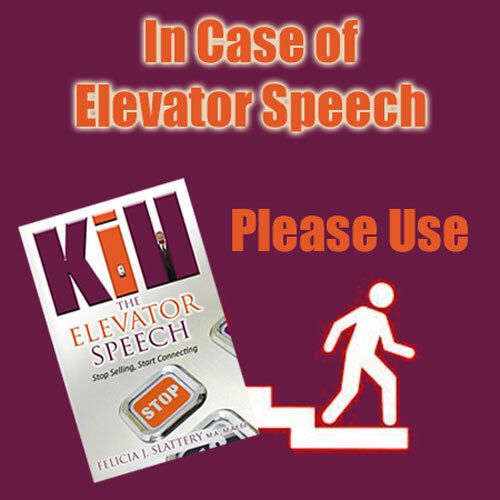 Kill The Elevator Speech – Book Launch Results! Kill the Elevator Speech Hits Numbers 1 and 2 in Hot New Releases on Amazon! 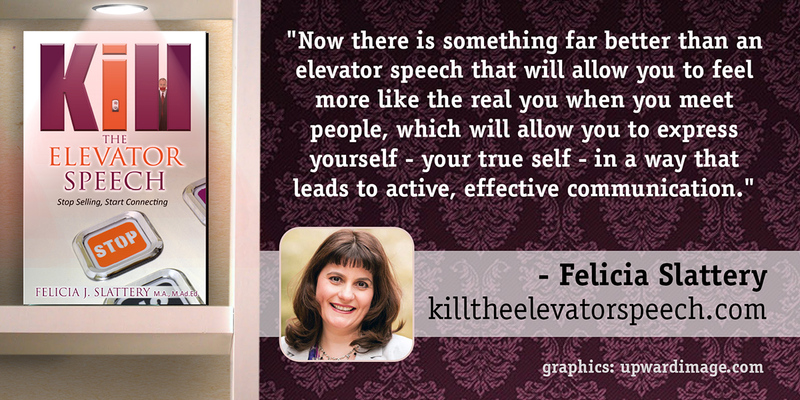 Yesterday I launched my new book, Kill the Elevator Speech: Stop Selling, Start Connecting. 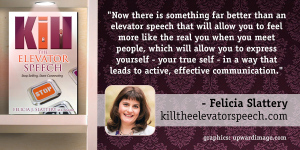 The image you see here started as a screen capture sent to me by Facebook friend and reader, Frederique Murphy, founder of Mountain Moving Mindset, international speaking and consultant based in Ireland. Last night I finally crashed shortly after the midnight totals came in here. I was wiped out after all the work I did this week in preparing for the book launch. 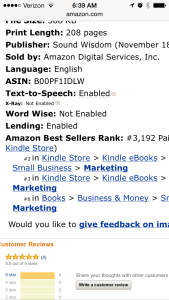 So I am VERY grateful to Frederique, who was thoughtful enough to grab a few screen captures of my rankings in the early morning hours. As you can see, we hit #1 AND #2 on Amazon’s Hot New Releases list. 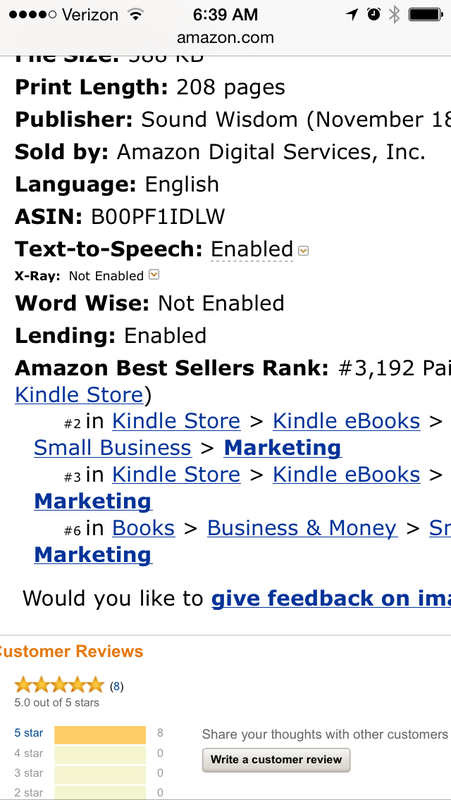 For some reason Amazon counts the Kindle book and the physical book as two separate titles (I have no idea why), which is why I was able to be at both the top two positions. 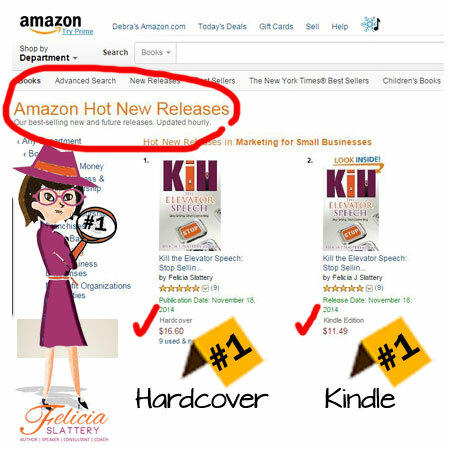 The highest best-seller ranking we hit was #2 in it’s category. This image is from my iPhone snapped overnight. 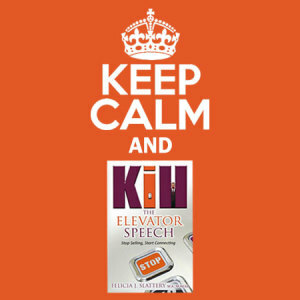 As of this moment, Kill the Elevator Speech is still in the top 10 of all three of it’s categories (numbers 3, 6, and 8). This is only the beginning. You see, my (very lofty) goal for this book is for it to hit the New York Times Best-Seller List. This internet launch was only phase one. Phase two begins in earnest after Thanksgiving when I start the national media promotion. So if you happen to have any contacts with folks at any of the big business networks, I’ve been interviewed on TV and can certainly handle myself in an interview. Plus, I’m passionate about this message that we should all just stop it with the elevator speech (or elevator pitch) once and for all. 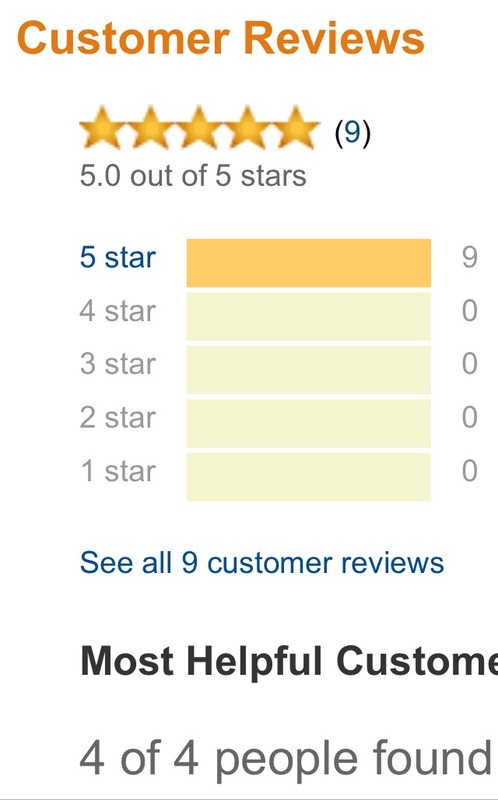 The good news is people are loving the book! 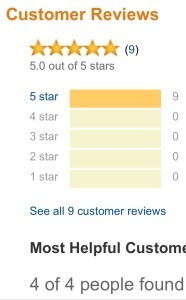 It currently has a total of nine reviews, ALL are 5-stars! In the meantime, there are people to thank. Many thousands of them, actually, but I’ll name just a few here. First, to those who made me graphics throughout the day to help support the book launch, Joe McCready and Craig Carpenter. Joe handles my Facebook page for me and is always coming up with awesome graphics. Craig, well, he just happened to send me a private message in the middle of the day yesterday, about something totally unrelated, and then a few minutes later surprised me with the awesome quotes. Also, a big thanks to Anita Johnson, Paul Taubman, and Ruth Martin, my tireless help desk manager, webmaster, and virtual assistant. If you’ve ever scheduled an appointment with me (or want to have me on your podcast, radio show, or TV segment! ), Ruth is the one who makes all that happen (along with making sure I see and eventually respond to emails!). And If you’ve ever had any difficulty with my websites, Anita has been on the case, getting you taken care of, while Paul makes sure things are clean, backed-up, and secure every month. Speaking of websites – less than 24 hours before the book launch, my main website went down. Ka-put. Within two hours of a phone call to Regina Smola, everything was back up, running good as new. If you ever have any issues with your WordPress website, Regina is someone you WANT to know and have on your team. I am grateful to know her. And finally, the person who worked until 3 AM the night before (really the morning of!) my book launch, designing everything, making everything work and run beautifully, is Debra Lloyd. 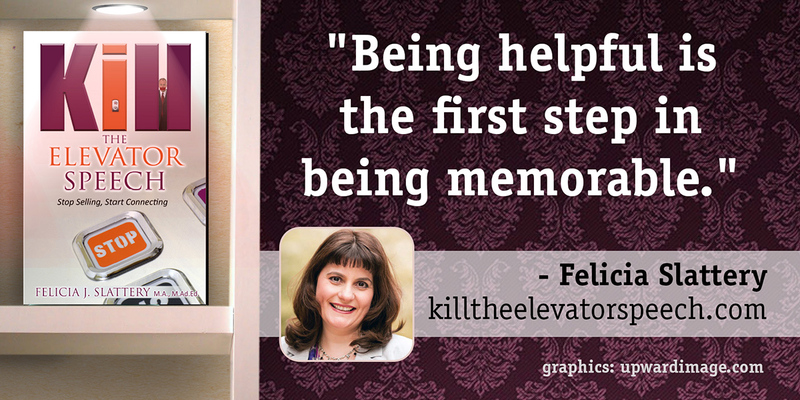 She made some of most fun graphics I ever had in my business, as well as doing SO MUCH more. Being British, she had to add the queen’s crown to the keep calm graphic, and she’s also responsible for the graphic at the top of this page and many (MANY) others. I am in deep gratitude for her hard work on this project. You can see more of her work on Facebook, and I will be using all of her graphics as we go along. I don’t think I can ever thank her enough, but it might well include sharing a bottle of wine the next time we’re in the same room! And most of all, YOU! For the dozens (possibly hundreds) of people who shared my book on your social media profiles, for the people who gave me quick and early feedback about the launch page, which helped me to make it better, to the private email support, to every person who picked up a copy (and in some cases several copies as gifts! ), THANK YOU from the bottom of my very grateful heart. Now I’m getting offline for the rest of the weekend. I need a break :-). Well done, what a wonderful achievement and a great milestone to reach. SO glad these screenshots were of use to you; thank you for the mention 😉 It truly was my pleasure to grab them for you. 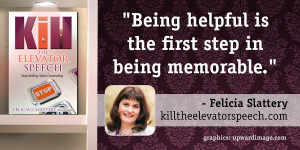 Thank you for the kind shout out Felicia! I’m so happy to have met you and you’ve added a lot of value to my journey thus far. It was the least I could do… AND your message is awesome too… so it’s icing on the cake for me. Hope it all goes better than you thought! I am thrilled we met and you messaged me when you did, Craig! Love your work and I can’t wait to see how far you go. Felicia you are so very welcome. You’re a pleasure to work with, creative, fun and not least of all inspiring. So glad to be a part of your book launch and looking forward to sharing that wine! Well, as long as you had fun staying up until all hours of the night, I guess that’s something, Debra! LOL You made everything work beautifully. Thanks again.